The Company's distribution system is highly tuned to meet the needs of today's demanding markets in Cyprus and abroad. 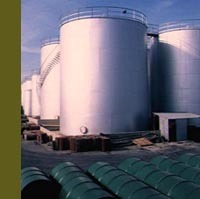 We own and operate our own fleet of tankers and lorries for local and international distribution. A freight department is constantly on the move arranging and overseeing international shipments. Apart from the fact that our products dominate the local market, in recent years our exports of vegetable oils, margarine products and sauces have grown substantially. Today Ambrosia's branded products are exported to more countries and stocked on more supermarket shelves than ever before. We are regional leaders in the Middle East and are rapidly expanding into Europe and Africa.